Quanisha Latoya Ramsuer was arrested Tuesday on a warrant and is charged with felony obstruction of justice, according to court records. She also goes by the name of Latoya Quanisha, according to a D.C. Police source. 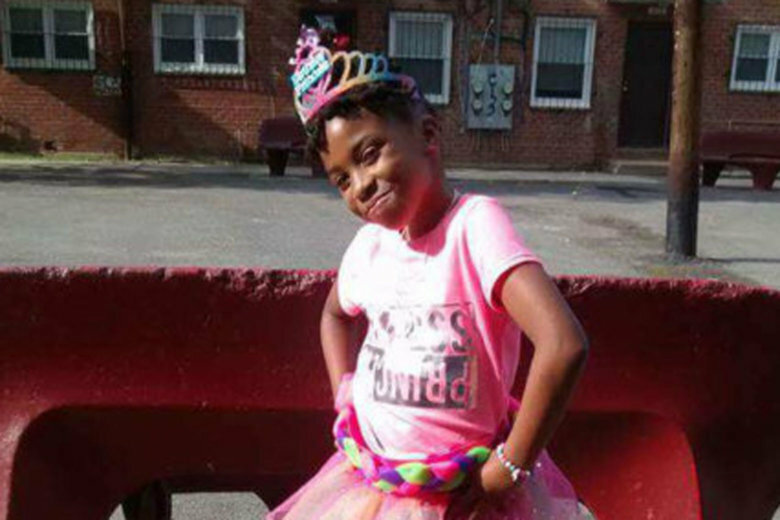 WASHINGTON — A woman is under arrest in connection with the killing of a 10-year-old girl. Quanisha Latoya Ramsuer, 25, was arrested Tuesday on a warrant and is charged with felony obstruction of justice, according to court records. She also goes by the name of Latoya Quanisha, according to a D.C. Police source. Ramsuer is the sixth person officially implicated in the shooting of 10-year-old Makiyah Wilson. Ramsuer lied to police multiple times and to grand jurors as they tried to determine the identity of the people responsible for the gang-motivated shooting, according to charging documents. Ramsuer told investigators she did not know some of the men who would later be charged, despite growing up in the same neighborhood and being caught on surveillance video before the shooting talking to the men and touching one man’s hair, the documents said. Wilson was killed while walking to an ice cream truck in the early evening of July 16. A group of rival neighborhood gang members pulled up in a black Infiniti and began shooting indiscriminately in the Clay Terrace neighborhood of Northeast, prosecutors said. The crowd they were shooting into was unarmed, a judge said in a preliminary hearing. Wilson was killed. Four others, including her sister, were injured. So far, five men have been charged in her murder. But the investigation seems to be opening up. In just the last week, three people have been arrested in connection with the girl’s killing, and more details of the crime have come to light. Marquell Cobbs, 16, of Northwest D.C. was arrested at his school on Friday, D.C. police said. He is charged as an adult with first-degree premeditated murder while armed. The day before, police announced murder charges against Mark Tee Price, 24, who was already in prison, charged in a separate homicide. The three initial suspects are 20-year-old Qujuan Thomas; 23-year-old Gregory Taylor; and 21-year-old Quentin Michals. At a preliminary hearing, the U.S. attorney’s office for D.C. presented evidence against them, and a judge decided that they would be held without bond and that their cases would proceed to trial.